August, 29. – September, 2. 2018. Wednesday, August, 29. – 7 p.m. – 9 p.m. 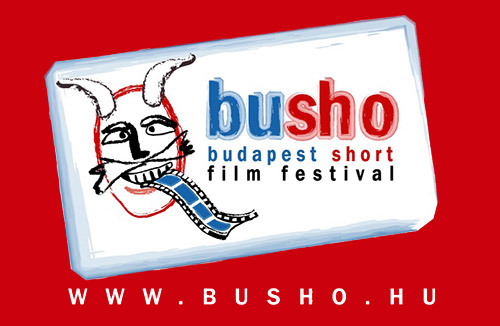 The BUSHO (Budapest Short) International Short Film is being held for the 14th time in Budapest. In the framework of the Short Film Festival – Italian Day is taking place within the cooperation of the Ministry of Foreign Affairs, the Italian National Short Film Center and the Figari Film Festival. This is an opportunity for the audience to see the Italian short films selected for the occasion introducing also films of the Olbia Figari Film Festival as well. Furthermore during the days of the Festival, including films of the Portuguese, Estonian, Turkish and Armenian screened at the Institute. The festival was established in 2004 by a group of young Hungarian filmmakers in order to fill a gap in the category of short film, but over the years it became clear that it was about much more than that. The international breakthrough came rapidly on the 3rd festival in 2007 when shorts were screened from 45 countries. The number of entries in fiction, animation and experimental category is gradually increasing, in 2011 there were 962 shorts selected by the pre-jury of which 90 made it to the competition. Beside the competition and informational program have plenty of festival screenings, selections of film universities, feature films, film-and all-art workshops in the program. The aim of the “BUSHO” festival is to give ground to young filmmakers for they can introduce, create and together can make a new European Value. No registration in advance is needed the access is free of charge.